You’ll never think about your morning brew the same way again. 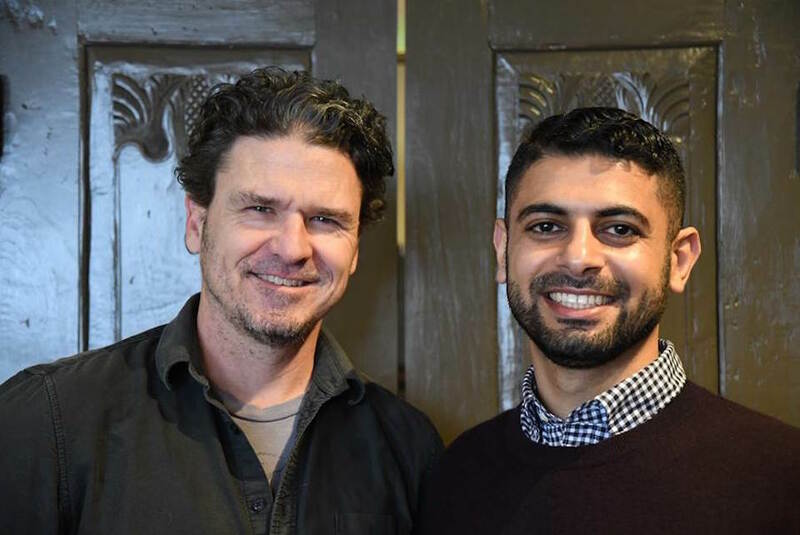 The drink’s rich history fascinated a Yemeni American named Mokhtar Alkhanshali, the protagonist of The Monk of Mokha and our guest, along with Eggers, on a recent episode of Bite podcast (listen to the interview in the player below). Alkhanshali decided to start working with Yemeni farmers to try to reinvigorate the coffee trade in his family’s homeland. But just as his business got going, Yemen slipped deeper into chaos. The excerpt below refers to the Houthis—a tribe of Zaydi Shiite Muslims still wrestling for political control of Yemen. 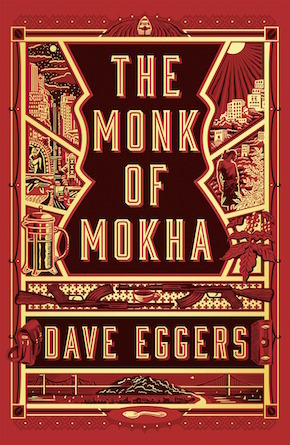 This excerpt is from The Monk of Mokha, by Dave Eggers. The roar of an approaching vehicle snapped them out of their reverie. A white Hilux swerved across the highway and a large man jumped from the truck bed. Immediately he zeroed in on Mokhtar. He was wearing a tracksuit and a leather jacket. Five other men, most of them armed, remained in the back of the truck. The atmosphere changed so quickly and radically that Mokhtar found himself leaping to his feet and rushing to meet the man on the road, leaving his sandals on the beach. “You’re coming with us. In the truck,” the man in the leather jacket said. Mokhtar didn’t see any room in the truck bed, so he moved toward the passenger seat of the cab. Everything had seemed so friendly until then that sitting in the passenger seat seemed most logical, most hospitable, among these new friends of his. Mokhtar made his way to the truck bed. Another man grabbed him and began tying his hands behind his back. The material was soft—it seemed like a length of fabric torn from a shirt. Mokhtar wanted to get his sandals from the beach, but he knew it was too late. Whatever was about to happen, he would be barefoot for it. Now he was being blindfolded. The blindfold was hastily applied, so Mokhtar could still see through the bottom of the fabric with his right eye—a glimpse of the ground in front of him. “You’re a goddamn Houthi,” the leather man yelled through the wind. He was sitting in the truck bed with him. He was helped into the back of the truck, where he sat on the wheel well, and in seconds they were on the road again. The wind rushed by, the air getting denser. They were heading into the city. “I’m not a Houthi,” Mokhtar said. He tried to remain calm, speaking in his best classical Arabic. He knew they would be listening for any trace of a northern accent. “We plan to kill you,” the man in leather said. Again Mokhtar tried to remain placid and wise, to project the air of a neutral man, a bystander, a civilized citizen of the world caught in a fight not his own. “Do you really want that on your conscience?” he asked. Now Mokhtar believed he might die. All the other popular committee members had been ordinary men and teenagers and middle-aged bank managers forced to take up arms to defend Aden. But this man was a thug, an opportunist, perhaps a madman. Whether or not he believed Mokhtar was a Houthi, he might actually kill him. The truck made drastic turns through the city. Mokhtar, smelling diesel, feeling the shadows of tall buildings, contemplated how he might die. Would they shoot him? He thought of the burn of lead passing through his skull. He remembered his uncle Rafik, the Oakland cop, telling him that there was a spot between the eyebrows and the bridge of the nose—if you put a bullet there, he said, it was like an off switch. No pain. Just the end. Mokhtar didn’t want to be shot. A knife across the throat, he decided, would be his preference. The men in the truck all had machetes. He thought about asking the man in leather to grant him this—a quick death from a clean blade. That’s how Muslims slaughtered animals to ensure meat was halal. It was a quick and humane death for mammals. He had a vision of his funeral. He pictured the mayor of San Francisco eulogizing him. President Obama might say something, he thought. At least relay a message. Mokhtar Alkhanshali died doing what he loved doing. Was that the right way to die? He thought of his parents, his siblings. He thought of Willem, Jodi, Mar- lee, Stephen. His death might be a source of inspiration. He would be a martyr. A coffee martyr? He’d lived well. For a few years, at least, he’d lived well. He thought of Treasure Island. Of the Infinity. The sculpture of the coffee-drinking man. No, his story wasn’t such a good story. Not one that would mean much to anyone. A story without an ending. He thought of his grandmother at her store in Richgrove. He saw Hamood and his aunt, preparing the great meal in Ibb. Who would eat all that food? he wondered. He would die very young. He realized this with a shock. Twenty-five was very young. He thought of Miriam. Justin. Jeremy. Giuliano. They would live on, with the burden of their dead friend. The truck sped through the city. Mokhtar figured it couldn’t hurt to try something. He’d tell these men his story. He had nothing else. “Do you want to hear my story?” he asked the man in leather. The whole planet drinks coffee, but it was born here, he said. We should be proud of this. The man in leather scoffed. “You sure you have it memorized?” “Inshallah, I do,” Mokhtar said. The men in the truck laughed. Mokhtar began, weaving a story of the coffee workers in Haymah and Bura’a, how he was organizing them, trying to improve their methods to prove that Yemeni coffee could be among the best in the world. The whole planet drinks coffee, but it was born here, he said. We should be proud of this. The world should know this. We have the chance to make coffee great, to show the world we have more than civil war and drones and qat. When he finished, no one said anything. Mokhtar wasn’t sure the man in leather, or anyone else, had heard him. And now the wind was howling, and they were thundering over a broken road, speeding to a sudden end.